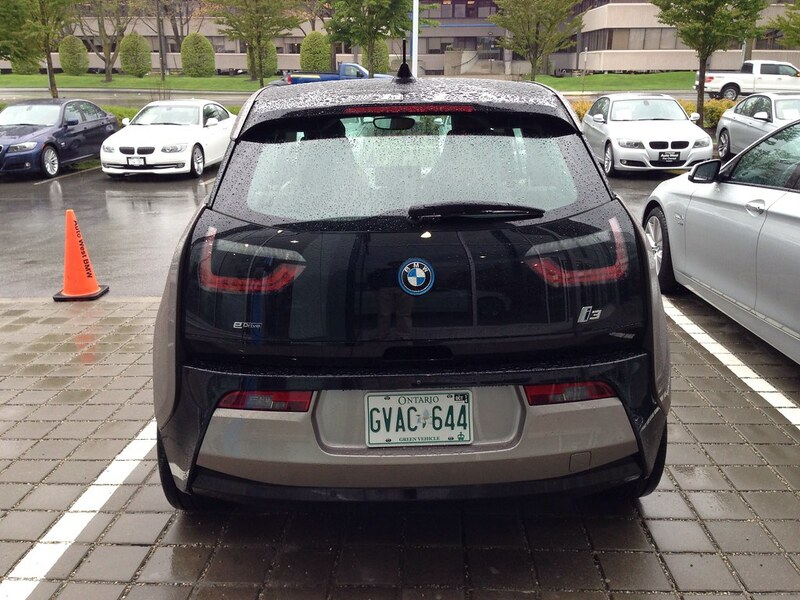 I had the pleasure to test drive the new all-electric BMW i3 which was launched in Canada recently. My daily car in Vancouver is a E92 335is coupe which I think is one of the best cars I have owned to date. As a BMW fanboy, I do follow with the new car launches by the company and was intrigued with the idea of an electric car since I really enjoyed the drive on a hybrid Toyota Prius. In these cars, I value how the cabin is more quiet with less engine noise and how it can be very responsive with the electric motor. 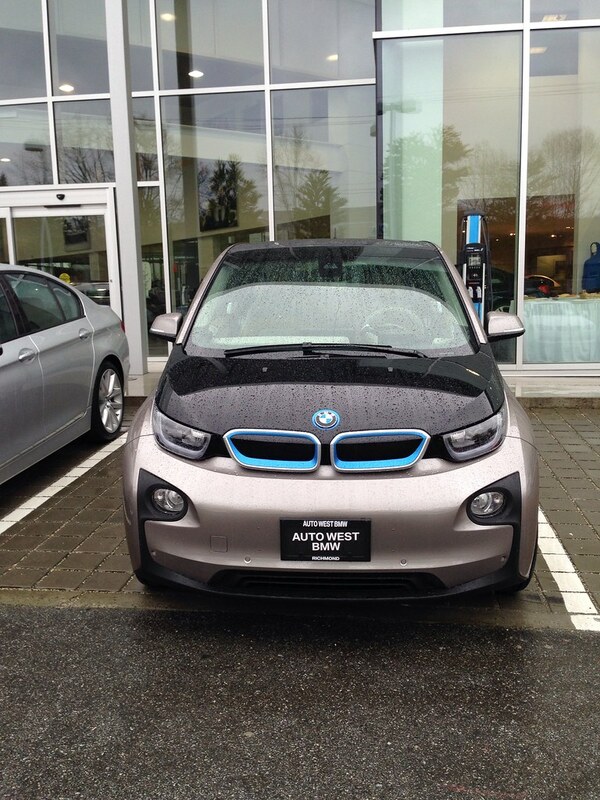 The BMW dealership in Vancouver that I visited was Auto West BMW and they did make one section with a team dedicated for sales to the i-series of electric cars. BMW does really try to imitate Apple in terms of selling, with their launch advertisements now involving their designers explaining the design features and they now hire BMW Geniuses on the showroom floor. 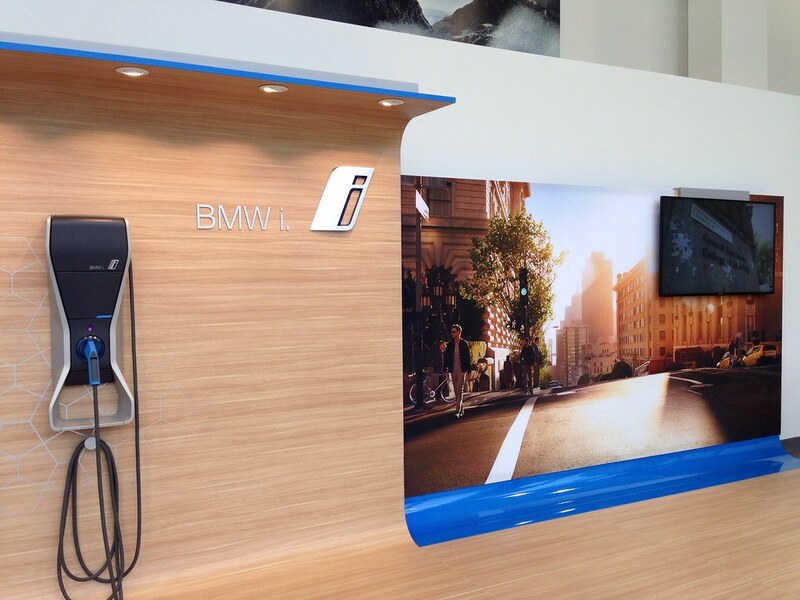 On arrival at the dealer, a BMW Genius showed me the mock-up of the express charging station that supposedly costs an extra C$25,000 to install. Buyers of i3 would get a normal charging cable but the express charging station would charge the car at a much faster rate. The base model costs around C$45,000 while there is also a more expensive model comes with a gasoline engine for an extended range. 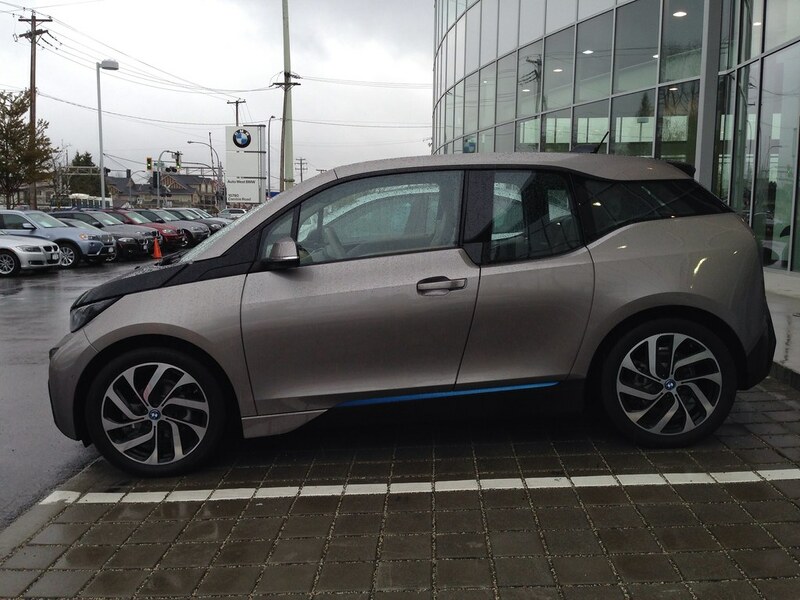 I test drove the cheaper all-electric model since that was the only one available. Apparently BMW tries to make the car to be as light as possible with the i3 having only a manual seat control on top of the carbon-fibre reinforced plastic body shell. The car also has a very minimalist and modern interior dashboard with the gear knob located beside the steering wheel housing. Inside the car there are the basic options like an onboard monitor to show the electric motor charge and all climate and audio controls. There is also a bluetooth and USB output on the car. The seats, however are basic cloth and are commonly found in basic cars like the Toyota Vios for example. But again I do believe it is for the purpose of saving weight, even if I would not want to have such a seat for the car since it is not very supportive. Do note also the maximum driving range of 140km on the all-electric i3. The major disappointment is that the car is sluggish to drive, and definitely takes some getting used to coming from a gasoline powered car. Somehow it still feels heavy at the start which I attribute to the battery load at the base of the vehicle. And to make matters worse, the salesperson accompanying me on the test drive quotes “The acceleration is faster than an (BMW) M3”. But BMW’s website mentions a 0-100km/h time of 7.2s and 4.8s for the i3 and M3 respectively. Another reason to loathe car salesperson I guess since some of them do not even check the facts. I personally would not compare it to a performance car but I do have to give the i3 its due in having a very quiet drive. Once we get going to cruising speed, the car is actually fine but again it takes getting used to drive it in city traffic since releasing the foot from the accelerator will instantaneously stop the electric motor and thus equate to braking. I am not saying its bad but it just takes some getting used to. For BMW’s first foray into the all-electric market segment, this is an okay car. However I would have thought BMW would have put more thought and refinements into the car before launching it. With a price that is not really cheap, I still think of electric cars being more suitable for the higher end of the market at the moment. There are just too much sacrifices one must make plus the added cost of the vehicle and hidden production costs of the battery makes me think that an efficient gasoline vehicle is perhaps more economical in the long run for the average driver.